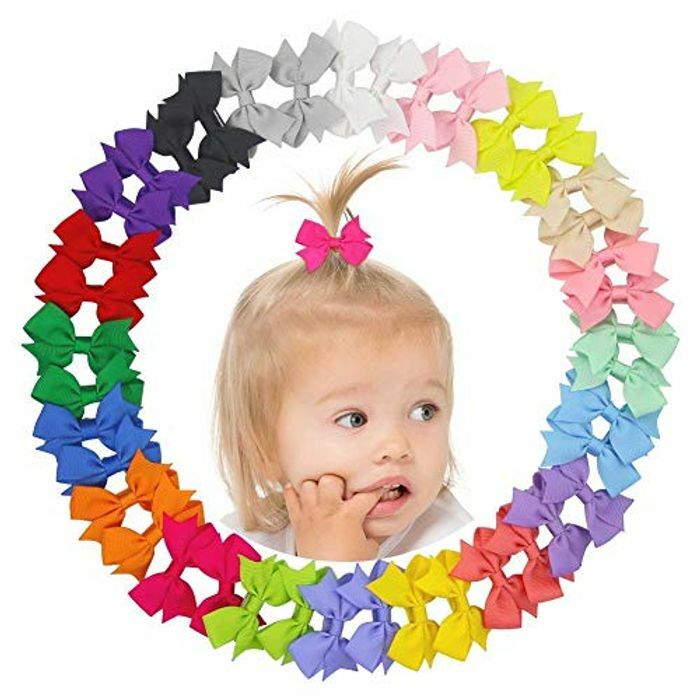 Great price for 20 girls hair bows. Easily £10 in uk shop for them. My daughter is going to love them . Lovin' the picture! Why tie a real product to her hair (to show they actually work), when you can just superimpose a cartoon one...no wonder she's looking perplexed! Hahaha I didn't even notice just thought theh looked super cute... great advertising for them tho! HahahahA! !